This is part 2 of the NSX Manager Installation guide, describing the upgrade of NSX Manager from version 6.0.4 to 6.1.0. In the “NSX Manager Virtual Appliance Management” window, select the “Upgrade” icon. In the “Upgrade NSX Management Service” window, verify that the “Current Software Version” is “6.0.4 Build 1752381” and then press the “Upgrade” button. In the “Upgrade” window, press “Choose File”, browse to “VMware-NSX-Manager-upgrade-bundle-6.1.0-2107742.tar.gz” (make sure the file was renamed with “.tar.gz”) and then press the “Continue” button. The “Upgrade” window will now display the message “Upload Status: Please wait…” and a graphic will start to cycle. This process takes about 5 minutes. 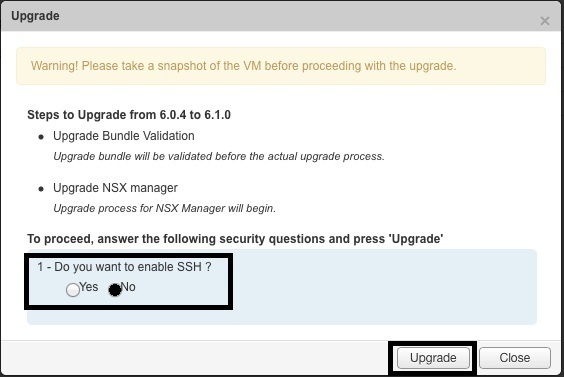 Once the NSX upgrade bundle has been uploaded, the “Upgrade” window then display the message “Steps to Upgrade from 6.0.4 to 6.1.0”. Select “Yes” or “No” for “Do you want to enable SSH?” and then press the “Upgrade” button. The “Upgrade” window will then display the “Overall Upgrade Status” as “Running”. Wait for it to complete. 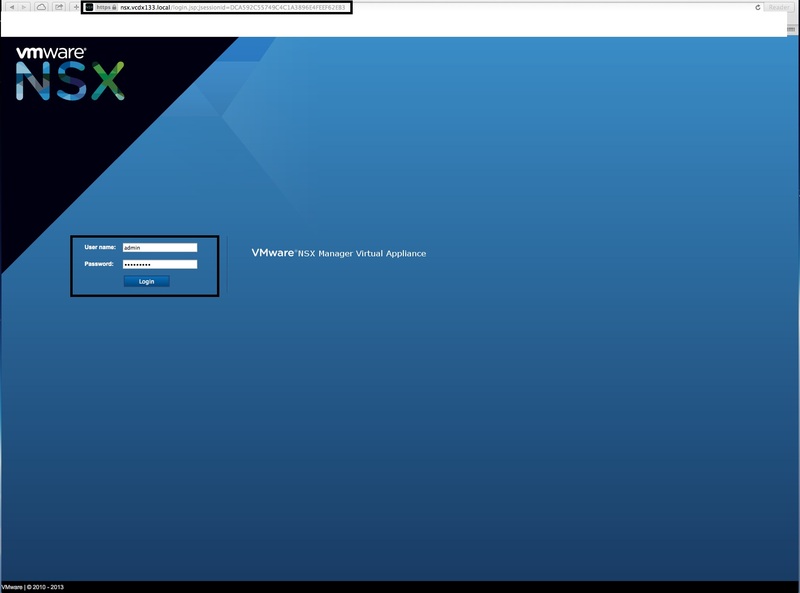 NSX Manager will then reboot and you can access the NSX Manager Web Interface again. In the “NSX Manager Virtual Appliance Management” window, select the “View Summary” icon. Note the “Version: 6.1.0 Build 2107742” message in the top right hand corner of the screen. In the “Summary” window, verify the “Version” is “6.1.0 Build 2107742”, the “Common components” (vPostgress & RabbitMQ) are running and the “NSX Management Service” is running. 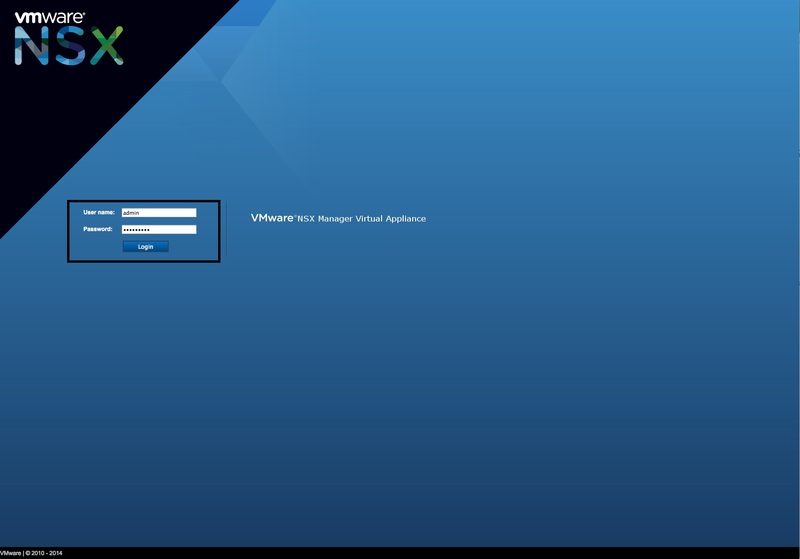 You are now ready to begin the configuration and integration with vCenter in Part 3.